When trying to lose weight, foods that are both filling and low in calories are your best friends. Certain foods help to satisfy your appetite for longer and may reduce your overall caloric intake later on in the day. The satiety index was developed in the mid 90’s and ranked 38 different foods based on how filling they were. Volunteers were fed 240 calorie portions of the 38 foods, after which they described their appetite ratings. The scientists carrying out the study also monitored how much food the volunteers ate later on. White bread was used as a baseline measurement, with a ranking of 100. The other foods were then given a ranking as well; the higher the rank, the more filling the food. The are rich in protein – protein rich foods all ranked high on the satiety index. Indeed, plenty of studies have found that out of the 3 macro-nutrients, protein is the most filling. It has a strong effect on appetite hormones, and thereby reduces hunger. Because of this, experts recommend increasing protein intake when trying to lose weight. They are rich in fiber – dietary fiber cannot be digested by the body. Instead, it absorbs water to form a thick gel like substance that slowly moves through your digestive system and delays the emptying of food from your stomach. For this reason, fiber rich foods such as oatmeal and oranges also ranked high on the satiety index. They are rich in water – most foods that contain a lot of water are low in calories. Many are also very high in fiber. For this reason, you can eat large amounts without ingesting too many calories. For example, a cup of cooked broccoli has 54 calories; if you were to eat 4 cups, it would fill you up pretty well, but you would have only consumed a bit over 200 calories. With that in mind, below are some of the most filling low calorie foods that you can eat. Eggs are some some of the healthiest foods that you can eat. They contain a wide range of nutrients, including iron, calcium, the B vitamins, selenium and zinc, which bring about many health benefits. Eggs are also low in calories and an excellent source of high quality protein, making them very filling. A large egg has 71 calories and 6 g of protein; for this reason, eggs scored 150 on the satiety index. This study found that swapping a carbohydrate rich bagel breakfast for eggs lead to increased fullness and reduce calorie intake for the entire day. If you eat breakfast, it is recommended that you include some protein in it; eggs are a good choice. If you wanted to reduce your caloric intake even further, you could opt for egg whites. A cup only has 117 calories, but provides you with 26 g of protein. Whilst oatmeal is primarily a carbohydrate rich food, it also contains decent amounts of fiber and protein. A cup of oatmeal prepared by cooking oats in water has 166 calories, 32 g of carbs, 4 g of fiber and 6 g of protein. Oatmeal has a rank of 209 on the satiety index, which places it third among the 38 other foods. One reason why oatmeal is so filling is because it contains large amounts of beta-glucan, a soluble type of fiber. This study found that oatmeal suppressed appetite, increased satiety and reduced caloric intake when compared to ready-to-eat breakfast cereal. A breakfast consisting of two boiled eggs, a cup of oatmeal and a medium sized apple is highly filling and would keep a lot of people feeling satisfied until lunch time. Lean meats such as chicken, turkey and beef are all high in protein, making them very filling. Half a grilled chicken breast with bone and skin removed (86 g) has 142 calories and 27 g of protein. This study found that the consumption of high protein meat at lunch resulted in less food being consumed at dinner, when compared to a high carbohydrate meal at lunch. It is important to eat high quality meat that has not been processed much. The meat based foods you want to eat only small amounts of are those that have undergone a lot of processing; this includes things like salami, hot dogs and sausages. This is because the consumption of processed meat has been linked with a number of health problems. Legumes are highly nutritious foods that are both filling and low in calories. 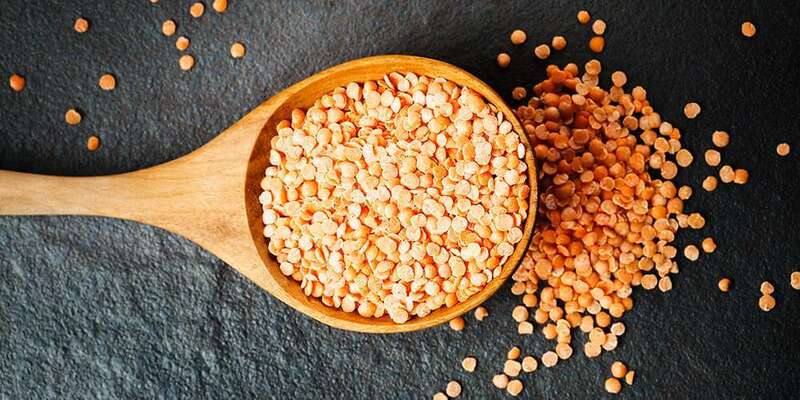 An example is a cup of cooked lentils which has 230 calories, 16 g of fiber and 18 g of protein. It also has high amounts of iron, manganese, B vitamins, potassium and magnesium. Beans and peas have similar nutritional profiles. Whilst these foods are highly nutritious, it is important to prepare them thoroughly before eating them. This is because they contain toxins and substances known as anti-nutrients that can negatively affect one’s health. It is recommended that you soak legumes overnight and cook them in boiling water for at least 10 minutes to make them safe to eat. Legumes can be used to prepare delicious soups and curry’s that quickly fill you up. Just like meat, fish is a source of high quality animal protein. 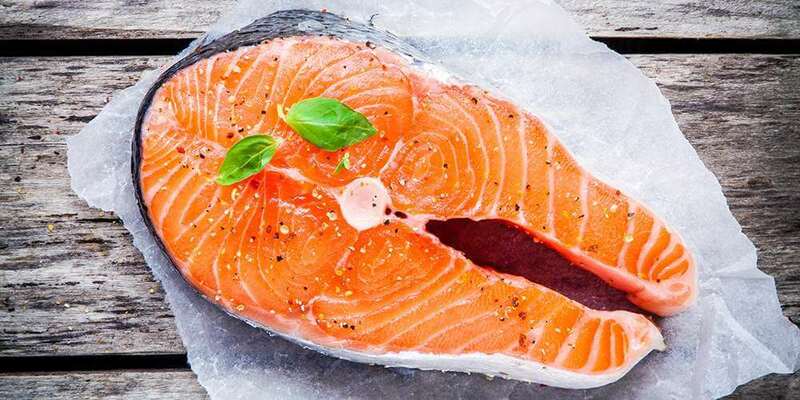 It also contains other nutrients such as omega-3 fatty acids, vitamin D and iodine that many people don’t get enough of. Ling fish scored the second highest on the satiety index, with a ranking of 225. Whilst this may not be a fish that you commonly eat, other types of fish are also equally as filling. An example is cooked salmon, which has 127 calories and 22 g of protein in a 3 ounce serving. Other filling fish include tilapia, haddock and cod. Fish can be grilled with herbs and spices and eaten with veggies on the side to make a satisfying meal. It is important to eat high quality fish, so if budget allows, opt for wild-caught over farmed fish. A cup of no fat cottage cheese has 104 calories and because of the 15 g of protein that it has, it fills you up well. This study found that cottage cheese was as filling as eggs. Cottage cheese also provides you with vital nutrients such as calcium and phosphorus, which are needed for the health of your teeth and bones. 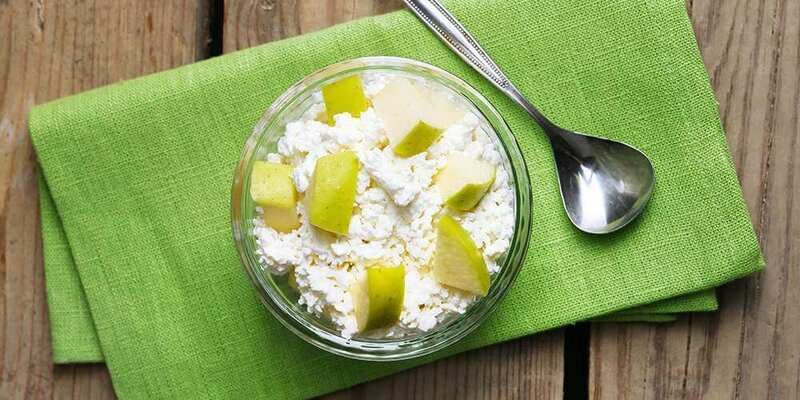 Cottage cheese does have quite an overpowering flavour, which may put some people off eating it. However, if you combine it with some sweet fruit such as banana or pineapple, it tastes much better. Cheese in general has a rank of 146 on the satiety index, which is fairly high. If you are looking for low calorie cheese, opt for low or no fat options. Greek yogurt is also filling and can be enjoyed for breakfast or as a snack. Whilst ordinary yogurt had a rank of 88 on the satiety index, Greek yogurt is much thicker and richer in protein, making it more filling. Quinoa is a complete protein. This means that it provides all 9 essential amino acids that the body is not able to produce on its own, making it an excellent source for vegans and vegetarians. Quinoa is also very nutritious and is a source of powerful antioxidants. A cup of cooked quinoa (222 calories) has 5 g of fiber and 8 g of protein, which makes it one of the most filling grains. It can be eaten in place of rice and there are plenty of recipes online that use it as an ingredient. To cook it plain, you need to combine one part quinoa to two parts hot water. It cooks relatively quickly and is ready to eat within 15 minutes or so. Air popped popcorn is very low in calories; a cup only has 31 calories. Studies have found that it is more filling than other types of popular snacks. This is why it has a rank of 154 on the satiety index, compared to crisps which have a rank of 91. It is important to keep in mind that we are talking about air popped popcorn here, which is prepared by heating popcorn kernels in hot air. This type of popcorn is much lower in calories than the kind that is cooked in oil or butter. Making your own air popped popcorn at home is easy. Simply fill a brown paper bag a fifth full with popcorn kernels and place it in a microwave on full power for a minute or so, until the popping stops. Most vegetables and fruits are very low in calories, thanks to their high water and fiber content. This means you can eat large amounts and still ingest very few calories in total. There are plenty of low calorie fruits and veggies to choose from. If you have a look at our healthy food finder tool, you can see that low calorie options include cucumbers, celery, zucchini, asparagus, pumpkin, watermelon, strawberries, mushrooms and peaches. Potatoes and sweet potatoes are also very filling foods. In fact, boiled potatoes ranked the highest on the satiety index, scoring 323. When potatoes are boiled, steamed or baked, they will be low in calories and will fill you up quickly.